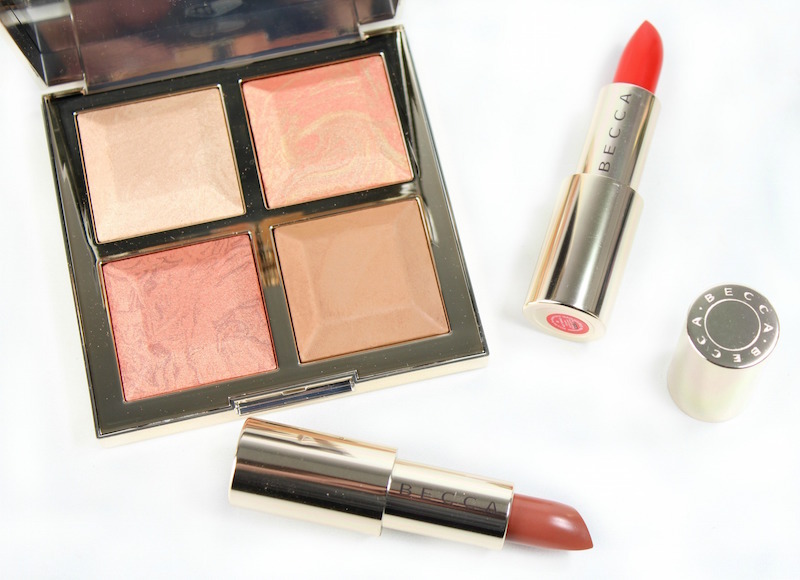 Starting the year out with a gorgeous new collection from BECCA Cosmetics. 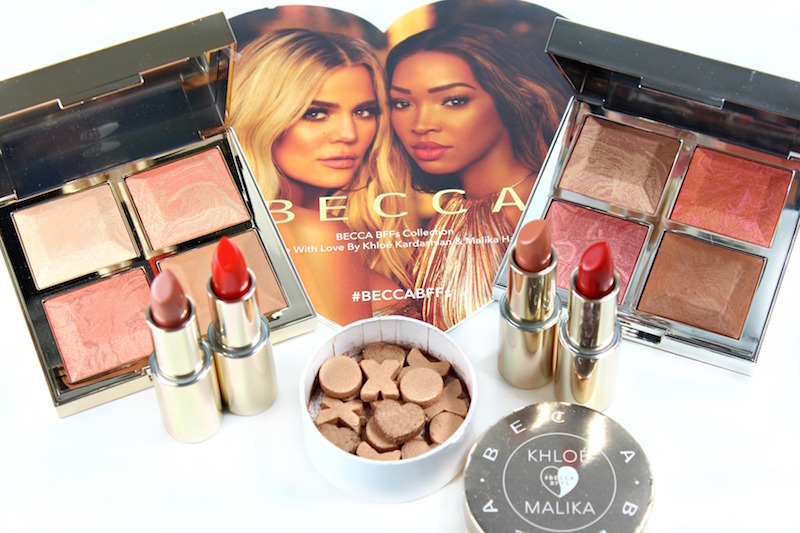 The BECCA BFFs Collection is a collaboration created with Khloé Kardashian and Malika Haqq. It’s stunning! Let’s take a closer look at what these besties have come up with. 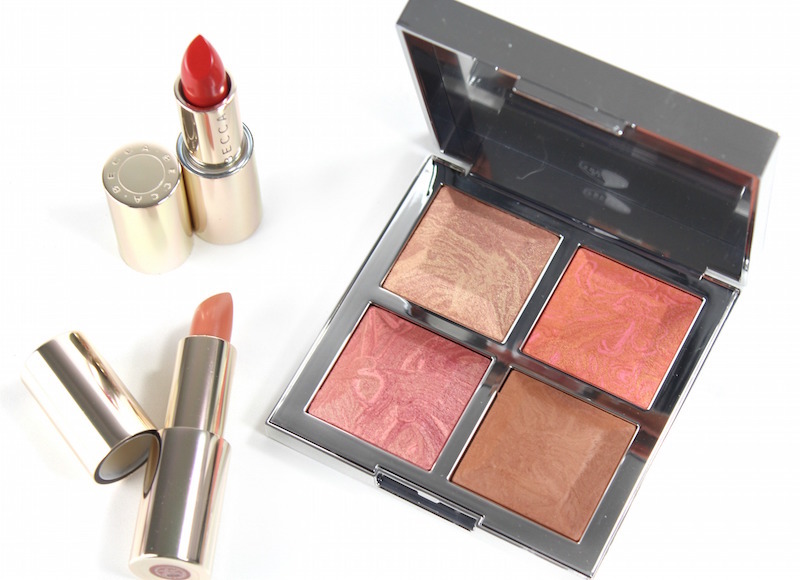 At first glance, the BECCA BFFs Collection has a ying-yang vibe to it. 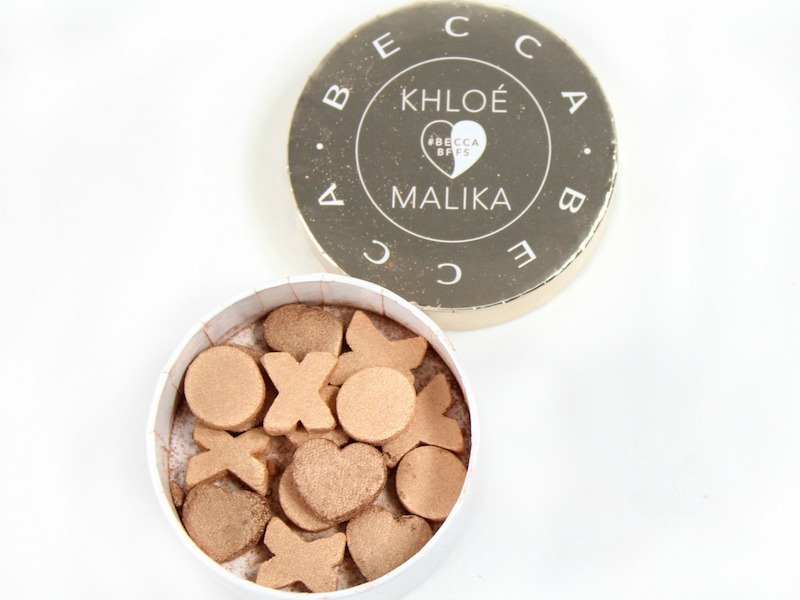 The Made with Love by Khloé group looks like it would be best for light-medium skintones. The Made with Love by Malika shades are deeper. Both have a mix of warm and cool tones. 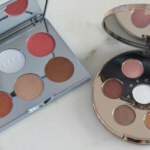 The Bronze Blush & Glow Palettes look a bit similar to the previously released Be A Light Palettes (review). I like this configuration better; the bigger squares of product are easier to pick up with a brush. The overall packaging in this collection is gorgeous. Ultimate Lipstick Love in Yours Truly (pinky neutral) and Brave (a true red with blue/cool undertones). 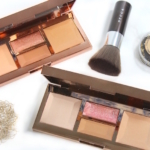 The overall quality of the Bronze Blush & Glow Palettes is exactly what you’d expect from BECCA; very blendable, sheer, easy to work with, and that beautiful, glowy finish. I love the size of the compacts. 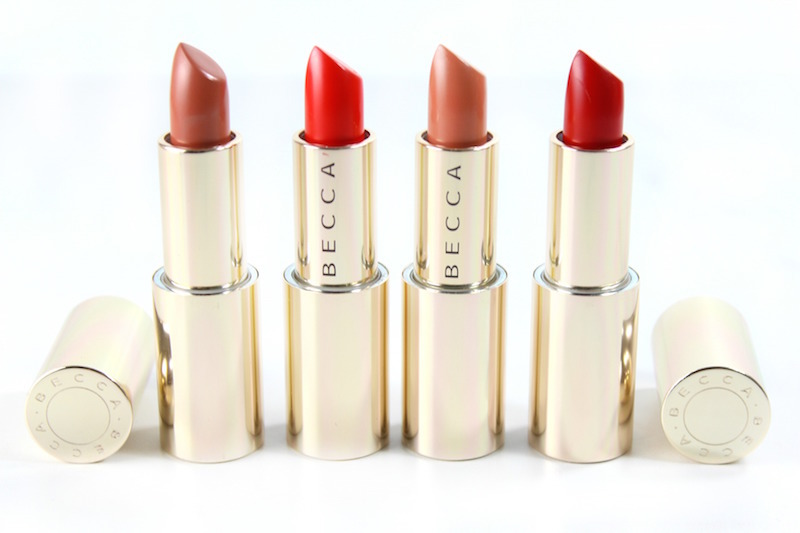 The pigmentation on each of the Ultimate Lipstick Love shades is SO impressive. 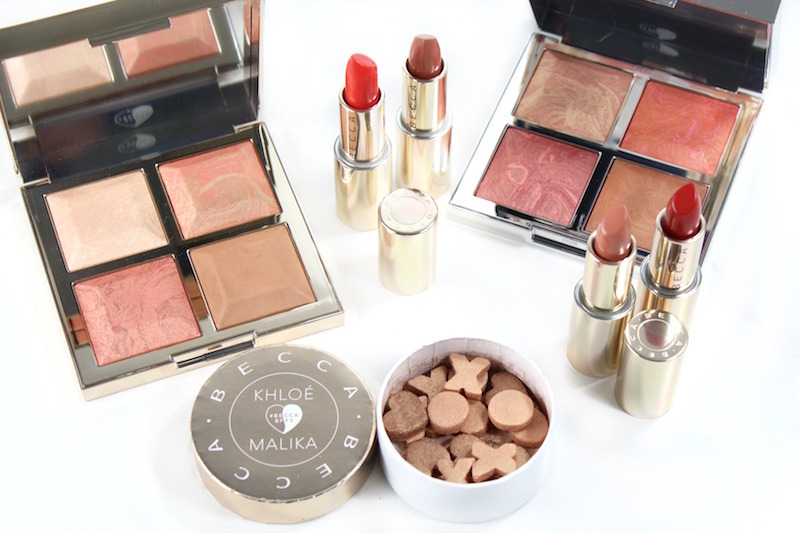 The neutral shades are lovely and wearable; the reds are intensely color-saturated. The formula includes hyaluronic acid for smoothing and plumping, plus there are light-reflecting oils for a comfortable wear. Also in the BFFs Collection are new Glow Letters; mini X, O and heart-shaped highlighters. The baked Glow Letters are a bit fragile and soft, but I love them. You can swirl with a brush and dust across cheeks to highlight, or use an eye brush and apply to the eye area, for a soft focus glow. They’re really pretty! 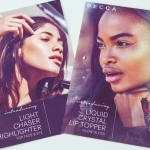 The BECCA BFFs Collection is limited edition and available at ULTA and beccacosmetics.com. 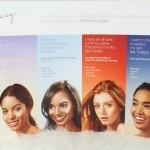 It will be available later this month at Sephora and other retailers. This is a stunning release; one that will get used over and over!